George Washington Carver Elementary has a rich history in Georgetown. It's original location at 1200 West 17th Street started out as Carver Park which the City of Georgetown sold to the Georgetown School District for one dollar. The Park held annual Juneteenth Festivities, summer sports events and many other activities. 175 black students, 1st - 12th grade, left a condemned school, George Washington Carver, to move to the new structure at Carver Park in 1964. 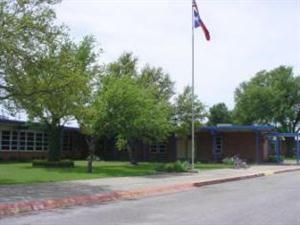 At the Carver Park location, the school carried the Westside name for many years. Through the efforts and research of interested people, the name returned to George Washington Carver Elementary. Additions to the original structure were made and the building was rennovated several times. In 2014, Georgetown ISD leadership decided the time had come to provide a new, modern structure to meet the needs of Carver Elementary students. In August of 2015, the current George Washington Carver Elementary School opened at 4901 Scenic Lake Drive. George Washington Carver, (1864-1943), born in Missouri, was a noted professor of Science who performed many experiments and did tremendous work in the field of Agriculture. He became an American botanist known especially for his research with the peanut and sweet potato, developing over 300 products from peanuts! He taught at the Tuskegee Institute and worked to improve race relations. His work is noted throughout the world.